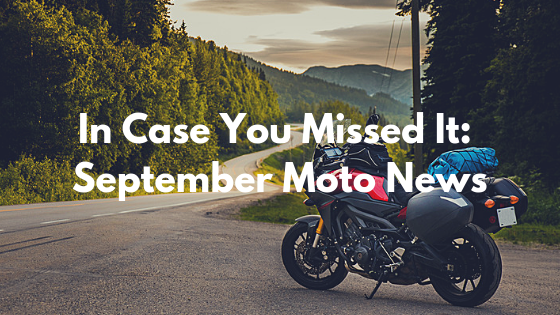 No matter the month, there’s always interesting moto news to share. So get ready for our September roundup of the top motorcycle-related stories you won’t want miss, including some awesome new models. Check out the headlines below. Indian Introduces Redesigned 2019 Chieftain Lineup - Last week, Indian Motorcycles announced a redesign of their Chieftain lineup. The Chieftain first debuted in 2013 and has always been known for its power, handling, and comfort. But the new 2019 models - the Indian Chieftain, Chieftain Dark Horse, and Chieftain Limited - all feature more streamlined, aggressive styling. If you’re a diehard Indian rider - don’t worry, the Indian Chieftain Classic will continue to feature its traditional fairing and iconic balanced front fender. The new models feature a trimmed and slimmed design, full LED lighting, and new fork guards. The feature we are most excited about is how the bike will let riders choose between three rider modes (Tour, Standard, or Sport) for an enhanced and customizable riding experience. The new models will also feature new paint options including White Smoke, Bronze Smoke, and Thunder Black Smoke. We’re excited to see these bikes on the road and love how Indian is always spicing it up with their new releases. Read More. Honda Announces Additional 2019 Street Models -Honda has recently revealed a number of 2019 carry-over on-road models in a variety of styles: touring, supersport, cruisers, and dual sport. The six new models are the Goldwing, the Rebel, the CBR600RR, the Fury, the Shadow Phantom, and the XR650L. Honda stated that all new Gold Wing models will come with two SmartKeys and will have navigation system software updates for improved performance. The models come in a variety of colors and have a wide range of price ranges to fit most budgets. Check out the lineup. Check out the lineup. Suzuki Teases New Motorcycle - Videos are rolling out ahead of October's Intermot International Motorcycle Expo in Cologne, Germany, teasing new models. 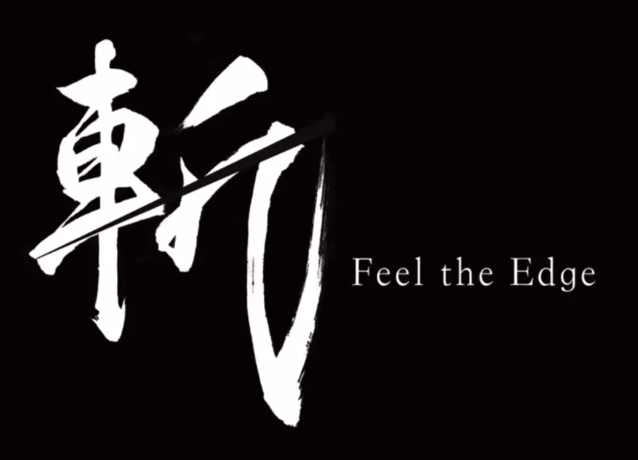 Suzuki released a 22-second mysterious teaser, that simply says “Feel the Edge”. There are no motorcycles featured in the video, but it does show a sword which is making a lot of people think that this could mean the return of the legendary Katana nameplate. The Katana bike was introduced in the 1980s and put emphasis on aerodynamics to improve stability at high speeds. Before the show in Cologne, Suzuki plans to reveal four additional teasers - what do you think it could be? Read More. Moose Utility Releases New RZR Rear Bumper- This piece of news is for our UTV lovers out there. Moose Utility Division has introduced the all-new RZR Rear Bumper. This new bumper is all about providing protection to the rear of the vehicle as it’s made from a 1 ¾” thick tube steel. It comes with a durable, long-lasting powder coat finish and comes in at the reasonable price tag of just $289.95. The color options available are OE black, blue, and red. Read More. Stay tuned for the October edition of In Case You Missed It. In the meantime, have you heard any newsworthy motorcycle headlines? Let us know in the comments below.